We spend lots of time off grid, and while our previous vehicle had a good power system installed, it simply lacked battery storage. Ultimately we managed with a strict regime of power management, but with a new build on the horizon we knew more power was a must. As we began our research we quickly arrived at lithium. With a wagon build, physically fitting two or three deep cycle batteries would have eaten away at valuable space, and the weight would have eroded our precious spare payload. LiFePO4 have 80-90% of usable power compared to around 50% for lead acid batteries so you need less batter capacity for the same performance. Additionally LiFePO4 batteries have a life cycle of around 2,000-5,000 cycles compared to lead acid batteries which typically last 400-500 cycles. While lithium systems are a big investment upfront, when we compared the cost of to replacing four or five sets of lead acid batteries over time, and factored in the massive weight, space and performance benefits, for us it was the obvious choice. The next challenge for us was space. 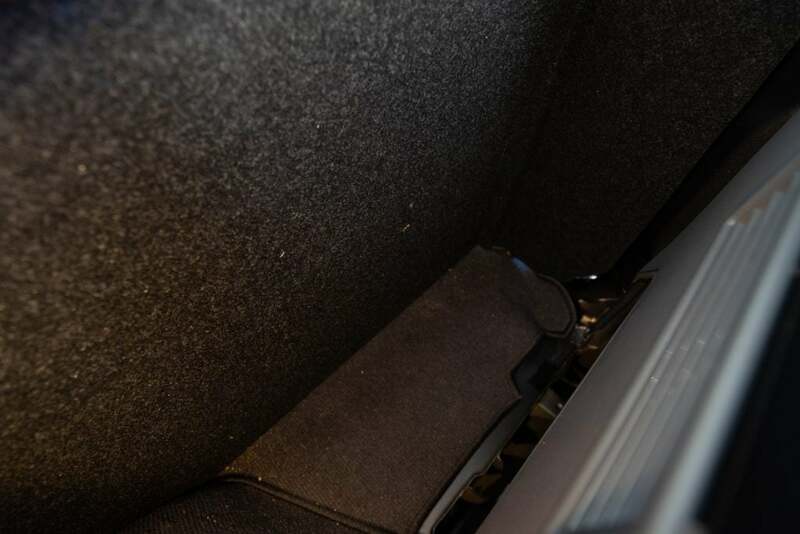 We wanted the seemingly impossible; a big capacity battery in the small space behind our Cruisers wheel arch, and beside the drawer unit. Paul Kearns runs Install A Gadget and did all the electrical work on our previous vehicle. 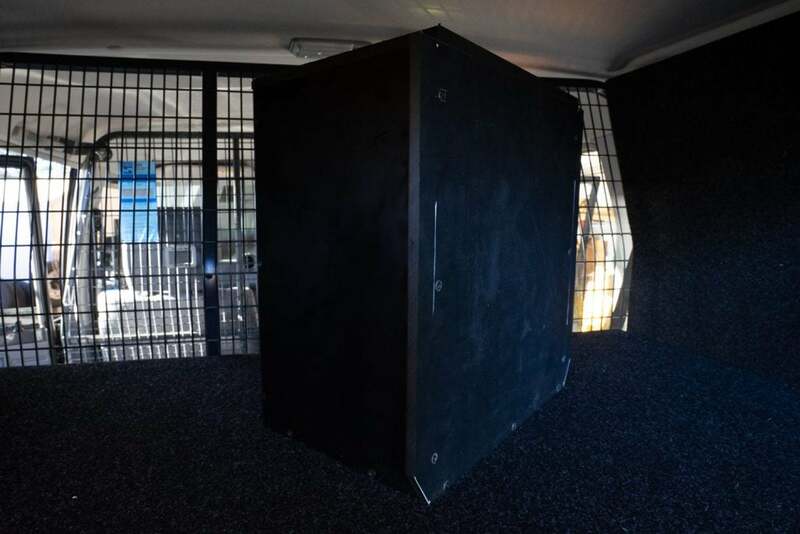 We arranged for Paul to do the electrical install on our new build and in the process we were introduced to their new lithium batteries – RV Lithium Systems. The space we were hoping to use was too narrow for a standard 100Ah battery let alone two. Paul measured up the space and offered to build a skinnier custom battery to suit. The battery he built is pretty impressive. It’s 180Ah and weighs in at a mere 23kg. 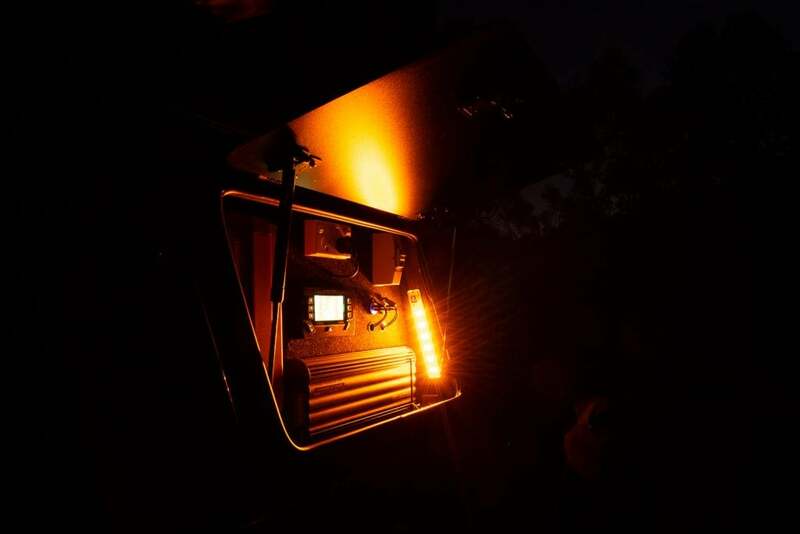 It’s approximately similar in power to three lead acid batteries but a quarter of the weight and a third of the size! Paul has a reputation as one of the finest installers in the country. 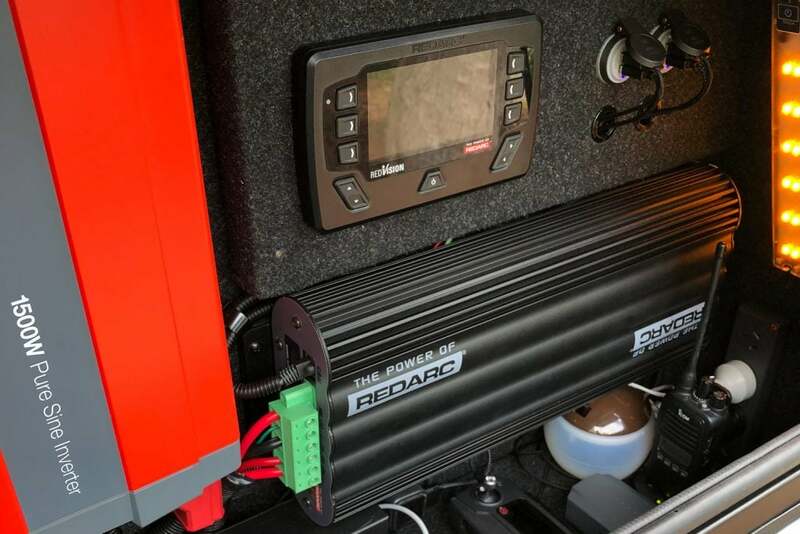 He does things properly, and like his installs, his RV Lithium Systems batteries are built to last. 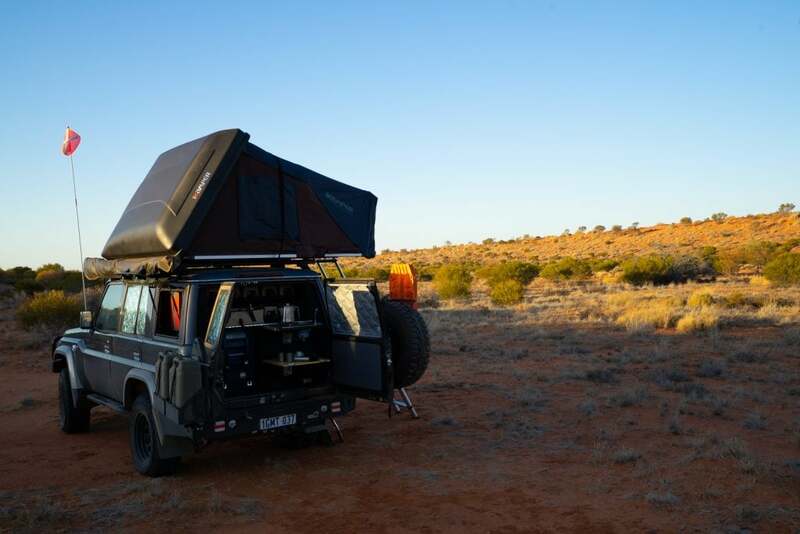 Shortly after install we hit the road for an 8,000 kilometre trip through Central Australia and the Simpson Desert. Our battery didn’t miss a beat, and the increased capacity meant we barely needed to give our power usage a thought. 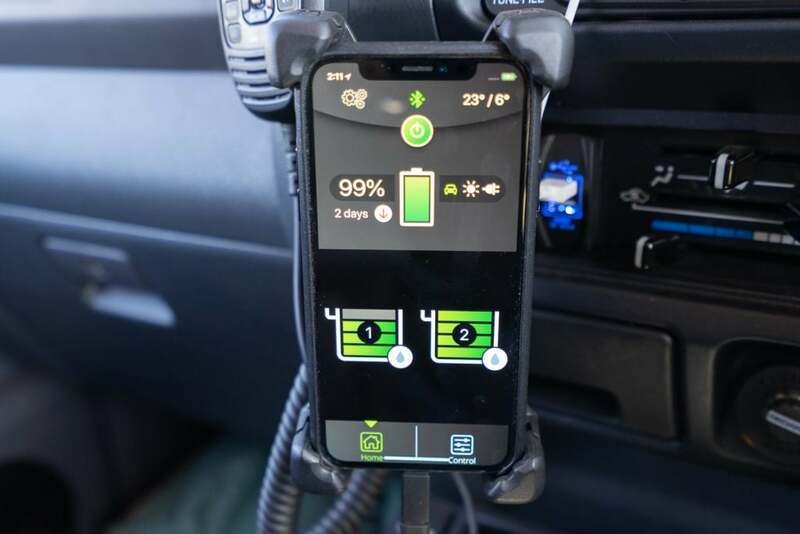 Performance wise lithium batteries charge much faster (up to four times faster than lead acid). 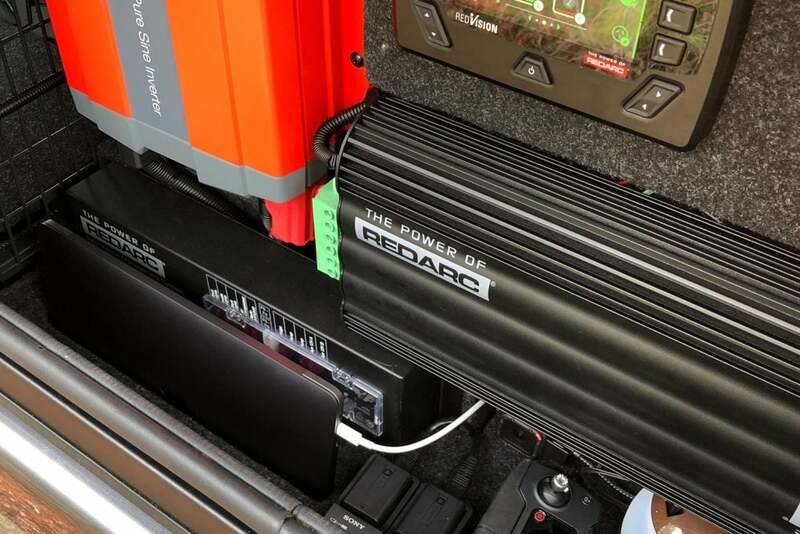 Our battery could constantly absorb the full 30 Amps delivered to it from the LandCruiser through the REDARC Manager 30. The Manager 30 has an inbuilt 240V charger and a an inbuilt solar regulator. 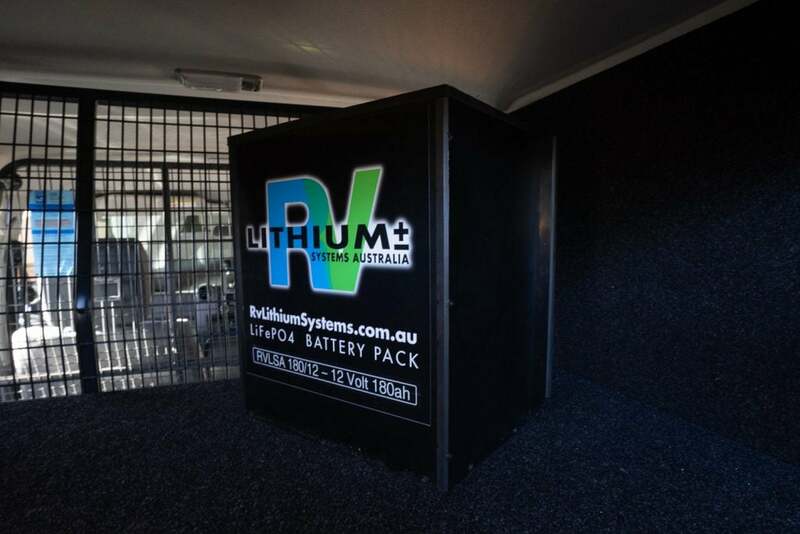 For more information visit RV Lithium Systems.